REENA AHLUWALIA IS A MUTLI-AWARDED JEWELRY DESIGNER, COVETED DIAMOND PAINTER AND A PROFESSOR, WHOSE ARTWORK HAS MADE HISTORIC IMPRINTS. DISCOVER CREATIONS OF ARTISTIC EXCELLENCE. A Reena Ahluwalia Blog. ✧ REENA AHLUWALIA IS AN AWARD-WINNING JEWELRY DESIGNER, COVETED DIAMOND PAINTER AND A PASSIONATE PROFESSOR, WHOSE ARTWORK HAS MADE HISTORICAL IMPRINTS. DISCOVER CREATIONS OF ARTISTIC EXCELLENCE. Buzzing all around with anticipation is director Baz Luhrmann's brilliant interpretation of 1920s high society in his film adaptation of The Great Gatsby novel by F. Scott Fitzgerald. The Roaring Twenties, 'The Jazz Age' was nothing if not exuberant, giddy, indulgent, decadent, sumptuous, bejewelled and bewitching. 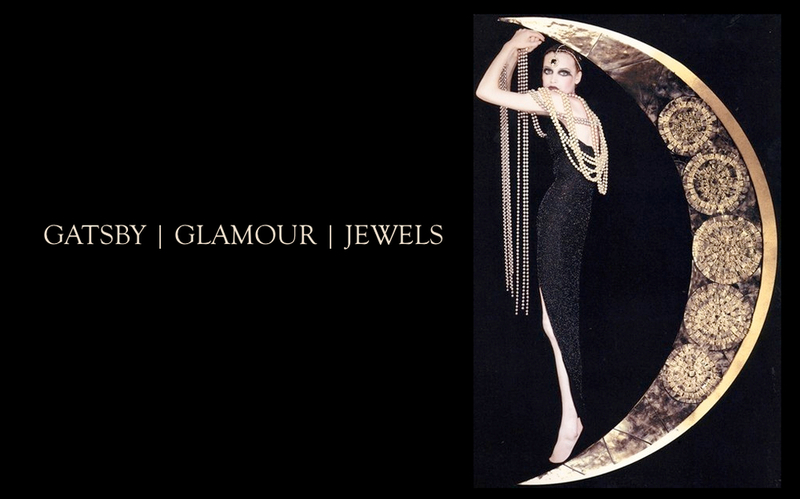 Channeling The Great Gatsby are these magnificent jewels by designer Reena Ahluwalia! 'Sensuous' Diamond Body Ornament by Reena Ahluwalia. De Beers Diamonds - International Awards 2000. White Diamonds: 196.56 Carats, 2409 diamonds, 18K White Gold. 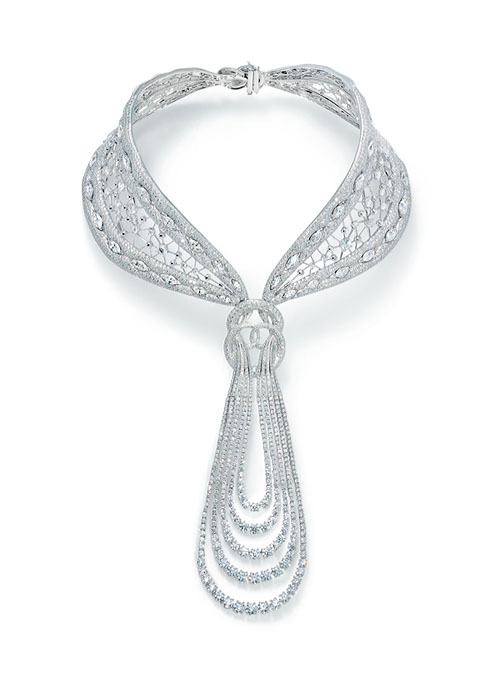 85-carat 'Eternal' Diamond Necklace by Reena Ahluwalia with Forevermark. Please contact us to inquire about Reena Ahluwalia original paintings and commissions.